What Makes This A Preferred Model Hair Dryer For Use On Curly Hair? If you are one of those people that have curly hair that frustrates you when it’s time to blow dry and style it, then this very well may be a hair dryer that interests you very much. Especially if the looks of the hair dryer you have hanging in the salon or on your bathroom wall are not important to you. Read on as we review this hair dryer that works well on all hair types and including stubborn to style curly hair. One of the best features on the Panasonic EH-NA65-K Nanoe Hair Dryer besides its power is its innovative Nanotechnology. It claims to take popular negative-ion technology to a whole new level. 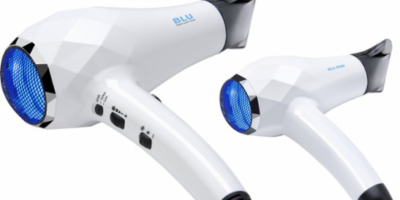 This hair dryer does this by breaking down water molecules into even smaller particles so they not only dry quicker but some of them will become small enough to be absorbed into the hair that’s being dried. That is a win-win situation when it comes to drying and styling any type of hair. This is also a very versatile dryer thanks to its 3 different heat settings and 2 different air speed settings. That will allow any user to somewhat customize the heat and airflow to meet the needs of any hair type that is being styled. It also comes with several nice attachments included. 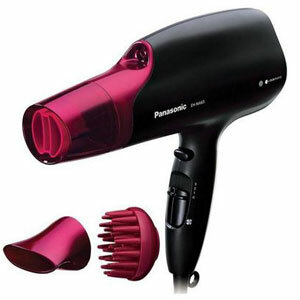 In the package along with the Panasonic EH-NA65-K Nanoe Hair Dryer, you will get the special dual channel airflow attachment, a very handy diffuser and also an attachment that further concentrates where the air goes. Rounding out this hair dryer package is a nice 9-foot long power cord and a removable air filter that will help keep your airflow at peak efficiency. It’s no secret that the application of high heat is the best way to dry curly hair and to help you style it. This product produces enough heated air to dry and tame even the most stubborn curly hair. It can do this thanks to its very high 2000 watt motor. You will find very few hair dryers made that can boast that kind of ability to produce high heat and airflow. Sometimes there are tradeoffs that you have to make to get more power and in this model Panasonic hair dryer that tradeoff is some extra weight. This dryer weighs almost 2 pounds and that does not take into consideration its lengthy cord. That is definitely something for a salon professional to consider if they plan on running a hair dryer several hours a day. There is one more very obvious drawback with this model hair dryer. It is hideous looking, to say the least. It looks like a cross between an odd fish and a duck’s head. That should not be paramount for you when choosing a hair dryer to use on curly hair but it’s definitely something worth noting. 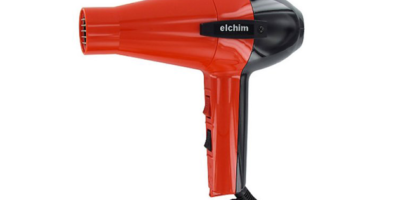 This is a pretty efficient hair dryer when it comes to you using it on curly hair. Sure it’s a little heavy and ugly but it still has it all where it counts. Its powerful 2000 watt motor generates excellent heat and airflow; enough to even handle drying and styling thick, curly type hair. The innovative Nanotechnology it includes helps protect hair as you dry it by helping it retain its all-important moisture. You also get a nice bonus with its three included attachments. 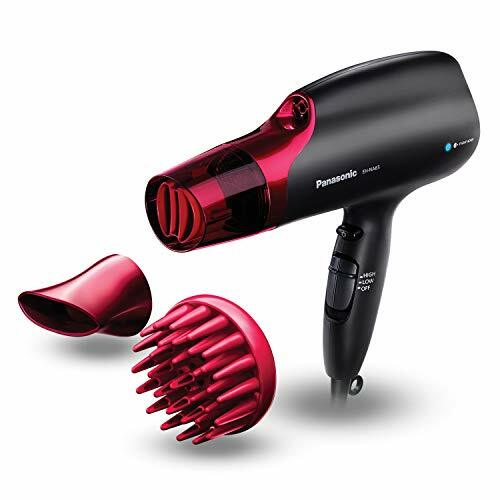 The Panasonic EH-NA65-K Nanoe Hair Dryer is definitely a model hair dryer worth checking out further as you are shopping around for a model to use on curly hair.